Great service and products very satisfied customer. 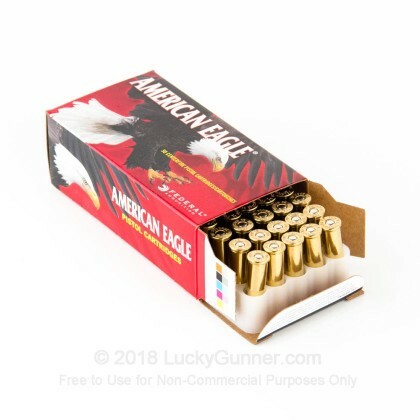 I just received my shipment of .38 Special American Eagle 130 grain ammunition. service was first class, delivery prompt and all arrived in great shape. i cannot wait to head for the range for some target practice. This is the only place i buy my ammo in bulk I am definitely a happy customer and will be back to purchase more as i need it. Thanks to all of you at Lucky Gunner for being such a class outfit. I always score high with these rounds, and they shoot clean. No leading, low residue. Empties are great for reloading. Clean and shoots well. Hotter than what I expected out of a 2" Ruger SP101. Will buy more. 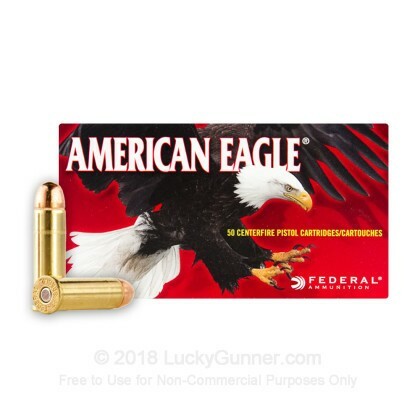 Good ammo - Good price - Shipped quick. Good training/target round. Very satisfied with product and Lucky Gunner. Especially pleased with how fast my order was processed and shipped. It's much cleaner than others I tried on my S&W 686 plus. The Luckygunner always has a great and fast service. Ordered on Monday night and got to my door on Thursday. Shoots clean and accurately. I've had nothing but good experiences with LuckyGunner. They've earned my repeat business. Clean, consistent and accurate with moderate recoil. I shoot a S&W model 60. This Federal load consistently fires cleanly, accurately and with moderate recoil. Put roughly 75 rounds through a Taurus revolver - shot well with no problems! Seemed real accurate at the 7 yard range - of course the small revolver isn't something you use for longer range... LOL So didn't try it any further than that. Working with Lucky Gunner has been a great experience. You get wheat you order, a great product, and delivered in a timely manner. 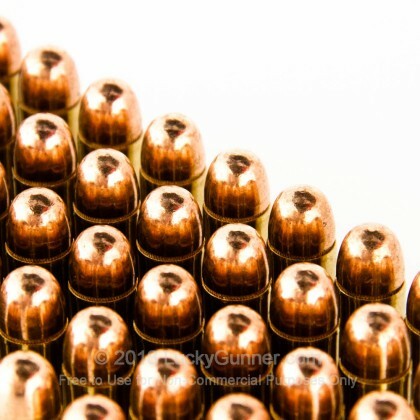 This .38 special ammo seems to work better than others we've tried. 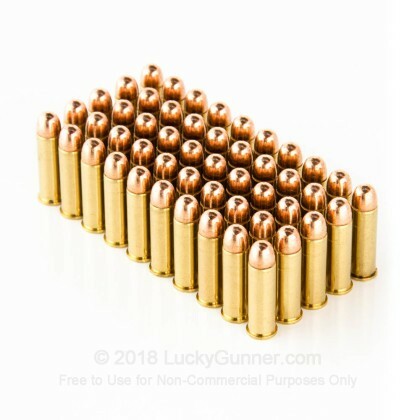 I ordered this ammo for my wife for use in her Chiappa Rhino (2" barrel) and she's very happy with it. It's clean and accurate. 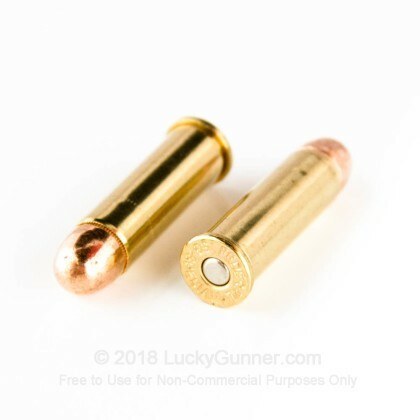 These are great plinking rounds! arrived in good shape, and it was "as advertised." Dealt with Lg for some time now and I'm very happy with them. No disappointments with good ammunition. If you spend less you get less. Federal's ammo is good ammo. The 1K rounds that I purchased was for practice. But even with practice rounds I was always taught in 36 years of military and police training to train with ammo that's pretty close to what you're going to shoot when it's all for real. You don't want any surprises then. Yes, it costs more money to shoot better ammo but when it all goes bad have the confidence that your ammo won't let you or others down. I purchased this ammo for my daughter as a gift have not given it to her yet. I have used the brand before and it is top notch. Good transaction. Item as decribed. Shipped promptly an arrived in good shape. Transaction smooth & delivery was prompt. Received what I expected. Will order again. 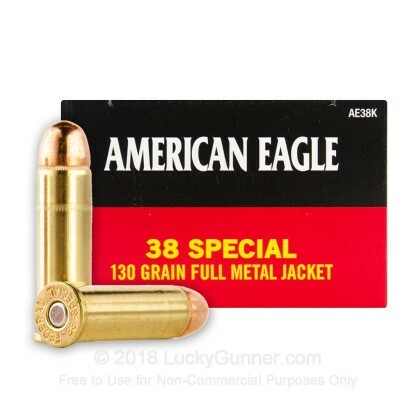 We also have this 38 Special - 130 Grain FMJ - Federal American Eagle - 50 Rounds ammo in stock in a smaller quantity.